Once parents make the choice of providing their children with a home education, it means that they can provide the child with a more relaxed approach to learning which can lead to more favourable results in a variety of areas. When the homeschooling family considers how music education may be a part of their life, they would look how to go about teaching music. Whether you advertise for a music teacher or find one in your telephone directory, it is important that the one you choose has an approach to teaching that will work well with your child. Every child learns at their own speed and each has their own learning style. It is vital that you employ someone that your child can relate to. You will find that some music teachers will be very strict and have a learning plan that they like to stick to. We had one teacher who was like this and my child who was learning the violin at the time, hardly progressed in the six months that he was under her supervision. It is best to look for someone offering a more flexible learning experience. Someone who offers music teaching as a hobby in their spare time may be a better solution when it comes to finding a teacher for your child. This type of teaching could be offered by someone who spends their working hours in another field, but they play in a band in their free time. With so many different styles of music around, it is important that you find someone that shares your childs interests in music. Your child may find the experience a bit daunting to start with and they will be unsure as to which is the best instrument to learn. It would be great to find a teacher with experience in playing a few different instruments so that your child will have a choice of what to play. So that children have as much chance to play instruments as possible, try to avoid storing the musical instruments away in cupboards. Instead leave them in the corner of a room where a child can get access to them very easily. This way when they are feeling inquisitive, they can pick up the instrument and have a go. We leave our instruments in our lounge room, out of their cases. In that way, it makes the instrument far more accessible just to pick up and even for practice time. The amount of time they spend playing the instrument will increase as they learn more techniques and gain in confidence. When looking for suitable teachers, a local college could be a good place to start. There will be music students who are just about to qualify or who have just qualified. These students will be full of enthusiasm for their first teaching post and will have a fresh approach to teaching.Your children may also find it more beneficial to have a younger teacher, and these young teachers may also have more reasonable hourly rates. 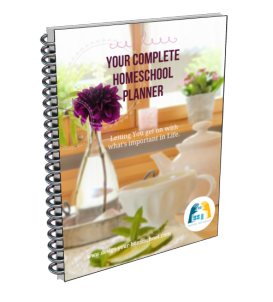 As you meet up with other homeschooling families, you can also build up a network of skills. These skills can then be shared between children being home schooled. When discussing skills with other parents, you will probably find that some parents are good at practical skills whereas others can offer academic topics such as literature and mathematics. 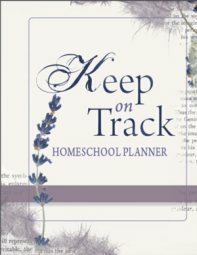 I am sure you'll find a musical family within your homeschool support group with older children finishing off their music studies eager to take on a few students! 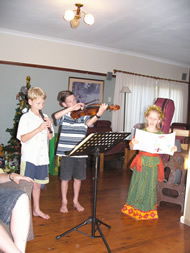 When it comes to learning music skills in the home, there are various programs available that offer tuition. Some of these programs are free to the user whereas others come with monthly or set charges. Perserverance is the only way to master a musical instrument. Although every individual learns at a different pace, the amount of hours you put into learning how to play is directly related to the rate of improvement, no matter who it is, but the rewards are definitely worth it. The beauty about learning to play the guitar is that you can practice with just about anywhere, remember to keep it sitting out and accessible in the home and not locked up in its case or under the bed, that way your child is so much more likely to strum on it for enjoyment, be it inside the home or out on the porch, if you can find an online beginner guitar course they can still sit out on the porch or in the garden with their laptop and learn thanks to todays technology, however, it would be advisable to read up on some guitar lesson reviews just to get a second opinion on the good and bad points of the courses that are offered. Encouraging your child to share skills they have learnt with others can be a great way to enforce the lessons they have had. Topics they have not found clear may become more understandable when explaining them to other children. The secret is to stick at it, and whether they have a teacher or are learning online, applaud and take a real interest in each tiny milestone they reach, thats priceless for a child.